Kicking & Screaming now on DVD! Sammy's film "Kicking & Screaming" is now out on DVD! Sammy appears along with prior "Saturday Night Live" personality Will Ferrell in this great family comedy. You can order your copy of "Kicking & Screaming" from Amazon.com by clicking here! 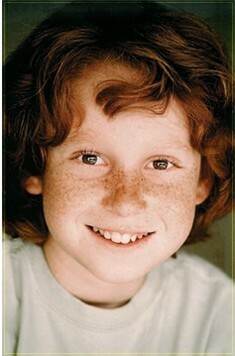 Sammy began his acting career at the early age of 9. He got his first break in the comedy "George Lopez," and the wildly popular NBC drama "American Dreams." Since then, Sammy has booked roles in feature films and guest starring roles in several popular sitcoms. Sammy's most recent feature film project was his role in the comedy "Kicking & Screaming," acting along side Will Ferrell, Robert Duvall, and famous football star Mike Ditka. The movie is about a family man (Will Ferrell), who takes on the coaching duties of a kids' soccer team, and soon finds himself competing with his own father about who has the best team. Sammy finds himself on Will Ferrell's team, comprised of many misfits, and their quest in becomming the best soccer team in the area. Television works include guest-starring roles on the new Nickelodeon television show "Zoey 101," the popular NBC medical drama "E.R.," and the wild Fox comedy "Arrested Development." Be sure to check Sammy's appearance schedule often to see when these episodes will air next! When not acting, Sammy takes part in many outdoor activities. He loves to play baseball, soccer, football, and shooting hoops wherever he can find a backboard. He also has two energetic yellow Labs which keep him occupied. When indoors, he enjoys playing video games, collecting, and watching TV. Sammy currently resides in the Los Angeles area with his mom, dad, and sister Emily.